고려시대에 만들어진 뚜껑이 있는 그릇(합)으로 높이 9.9㎝, 아가리 지름 18.3㎝의 크기이다. 고려시대에 크게 유행한 문양을 파내고 은실을 박아 장식하는 은입사 기법을 사용하여 제작한 그릇으로, 아래 몸통과 뚜껑의 크기가 같아 안정감 있게 보인다. 뚜껑과 몸통 위·아래 가장자리는 모를 깎아 둥글게 처리하였는데, 이러한 형식은 고려시대 철기, 자기, 상자, 합들에서 많이 보이는 양식이다. 뚜껑 윗면 중앙에 봉황이 있고, 그 주위에 꽃무늬와 덩굴무늬로 장식하였다. 바깥 가장자리의 경사면에는 은입사 기법으로 덩굴무늬를 장식했다. 뚜껑과 몸통의 측면에는 양식화된 덩굴무늬가 있다. 전면을 가득히 채워 정교한 수법의 은입사 기법으로 정교한 문양을 새긴 점에서 , 은입사 기법이 한창 성행하였던 11∼12세기경에 만들어진 것으로서 용도면에서 사찰에서 사용된 향합으로 추측된다. 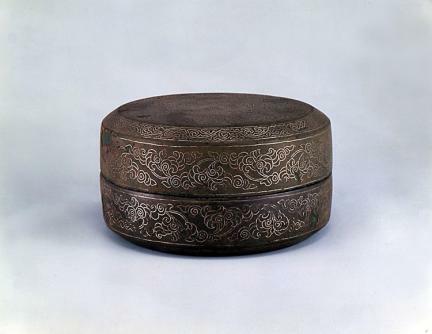 This lidded bowl from the Goryeo period has a height of 9.9cm and mouth diameter of 18.3cm. 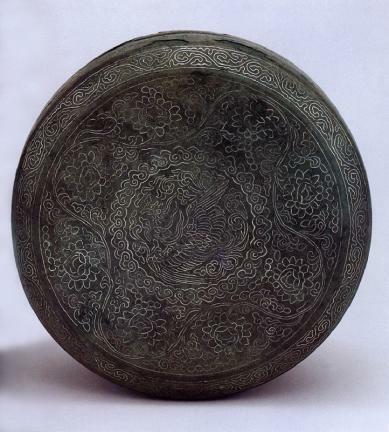 This type of silver inlaid bowl was popular during the Goryeo period. The mouth and base have the same diameter, giving the bowl a very stable appearance. 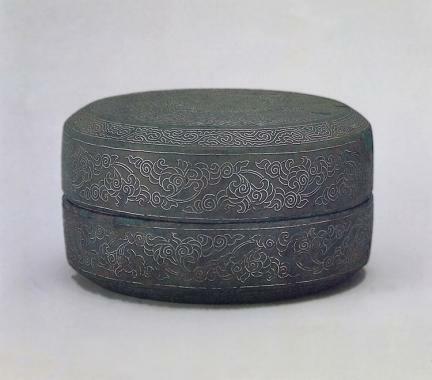 The lid and the edges around the body are shaved and rounded, which is a method widely used in ironware, pottery, wooden boxes and covered bowls of the Goryeo period. A Chinese phoenix is painted in the middle of the lid with flower and vine patterns around it. The edges of the vine patterns are silver inlaid. The classical vine pattern is on the lid and body as well. The inlaid silver is one of the indications that this bowl was made between the 11th and 12th century during which period silver inlaid earthenware were popular.